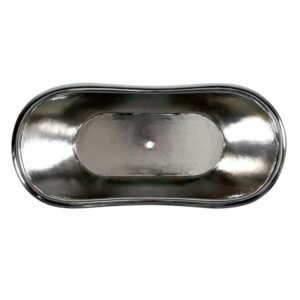 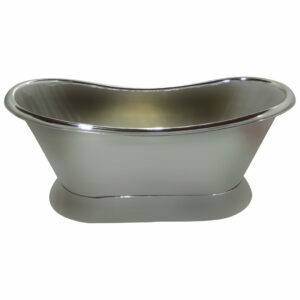 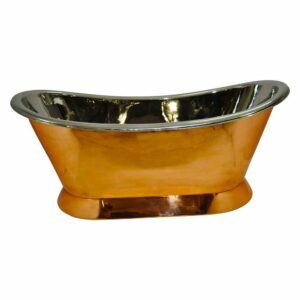 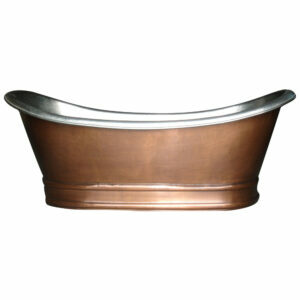 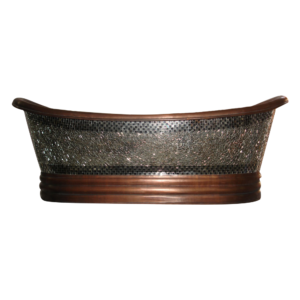 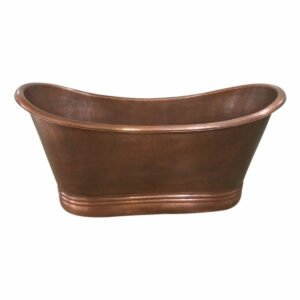 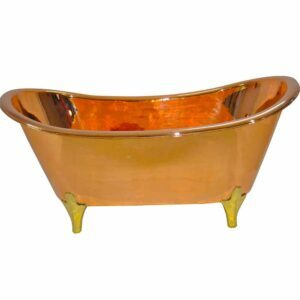 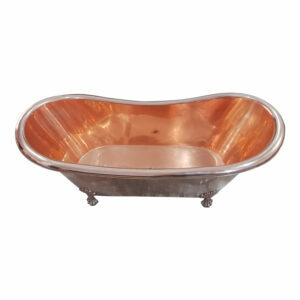 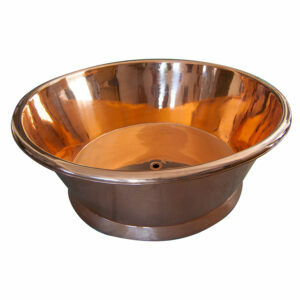 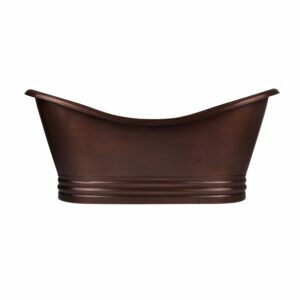 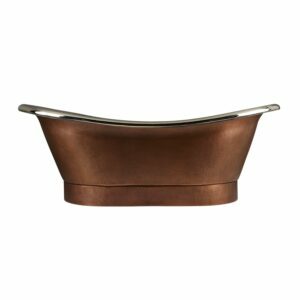 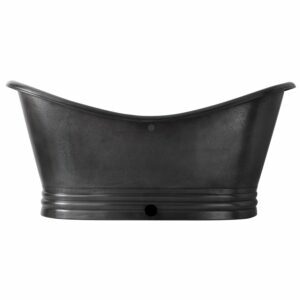 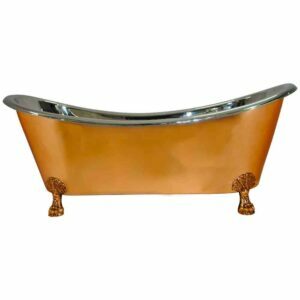 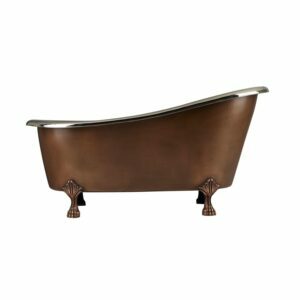 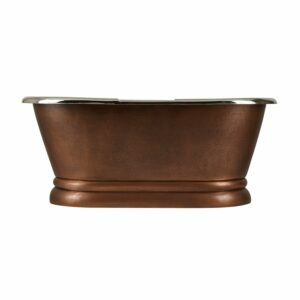 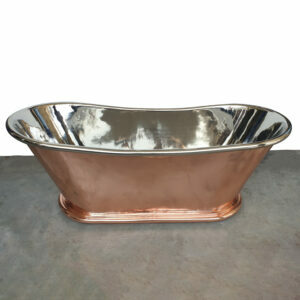 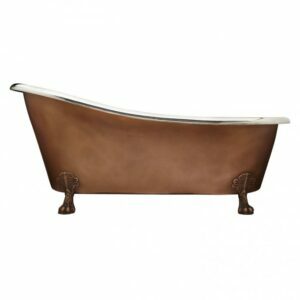 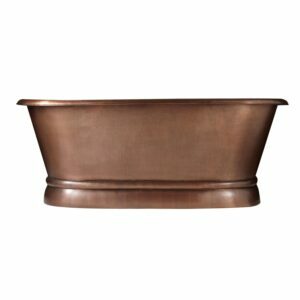 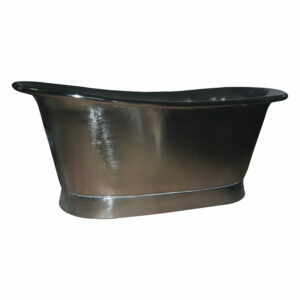 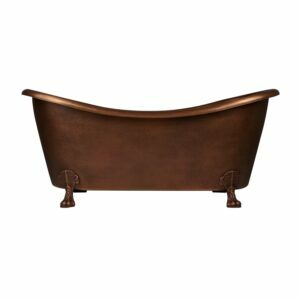 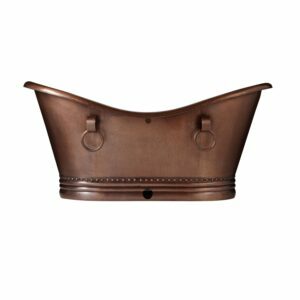 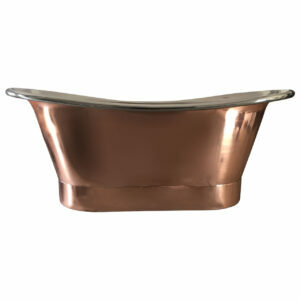 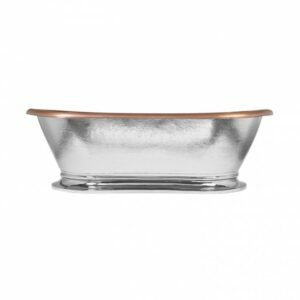 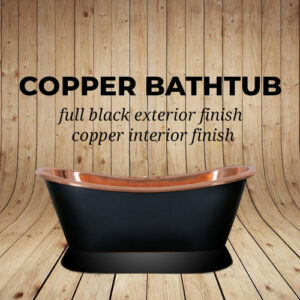 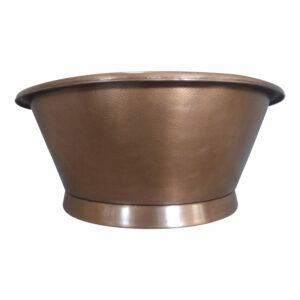 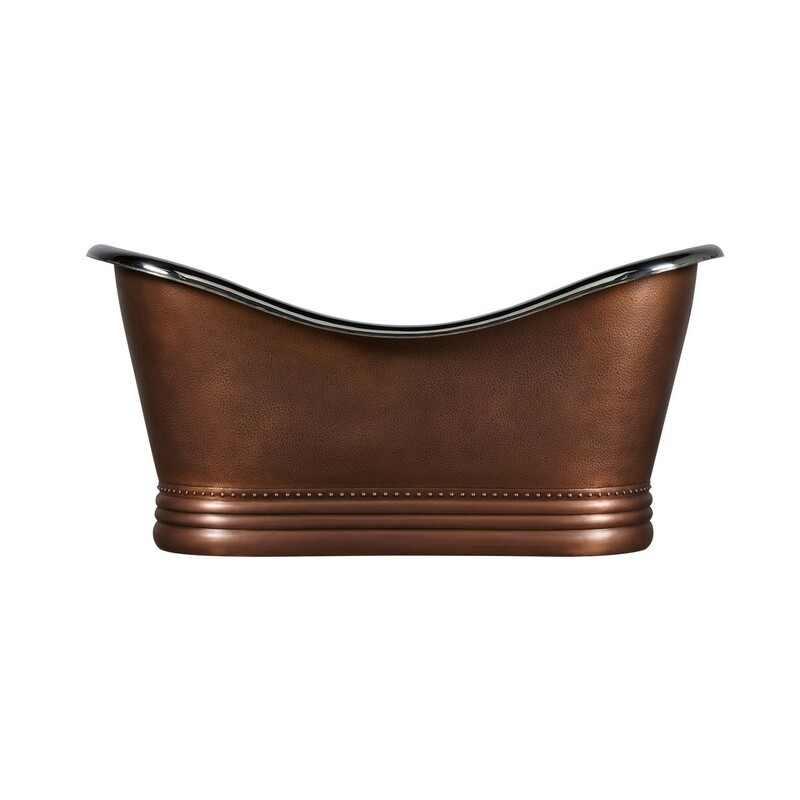 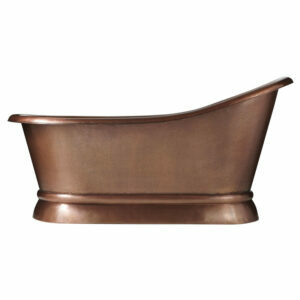 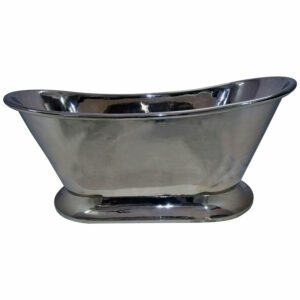 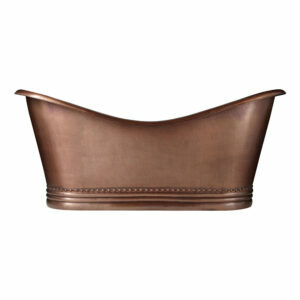 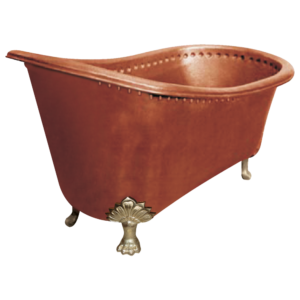 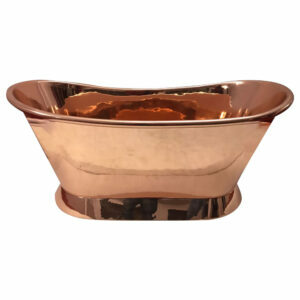 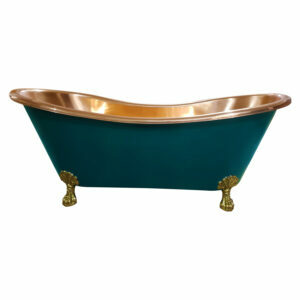 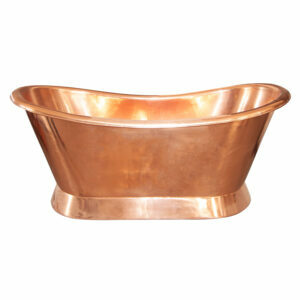 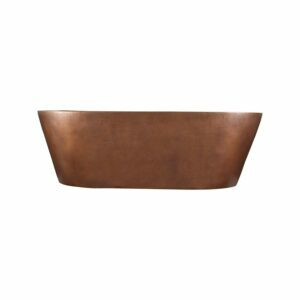 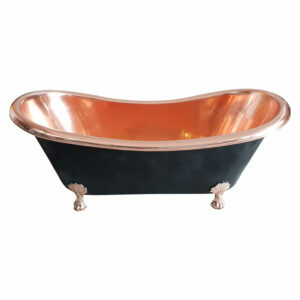 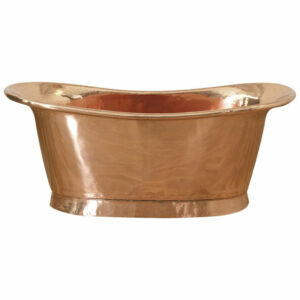 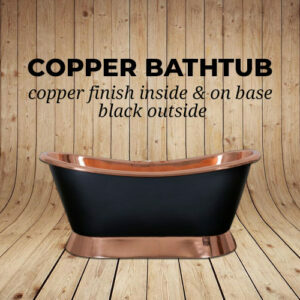 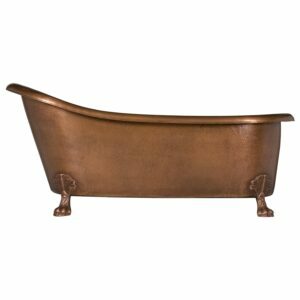 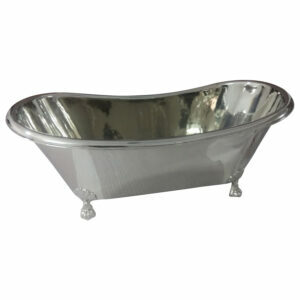 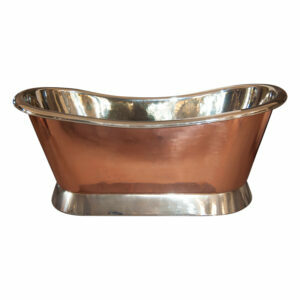 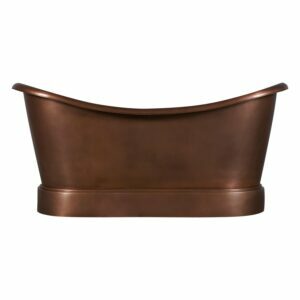 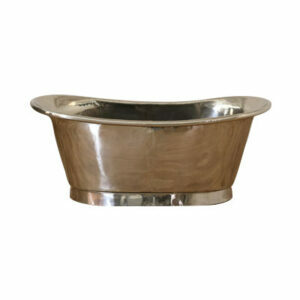 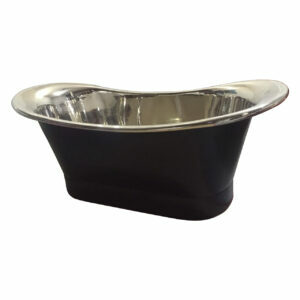 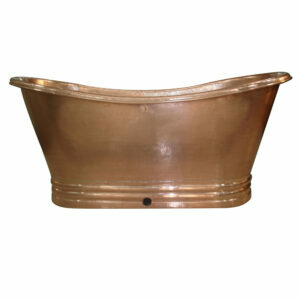 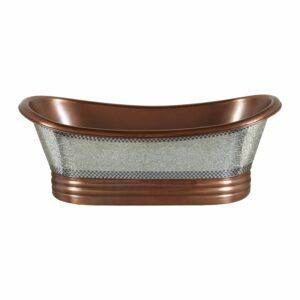 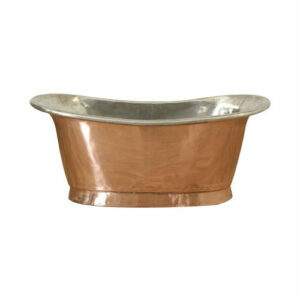 A beautifully decorative Double Slipper Nickel Interior Copper Bathtub with horizontal ribbing and rivets makes this double-slipper tub an eye-catching piece for any home. 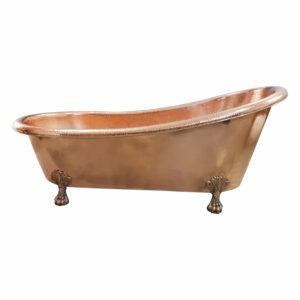 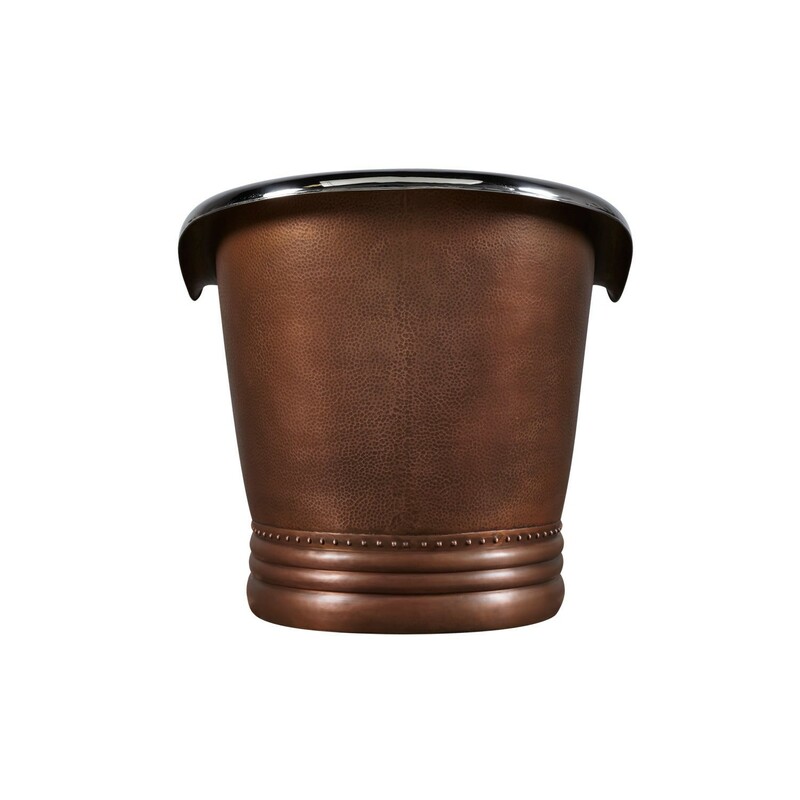 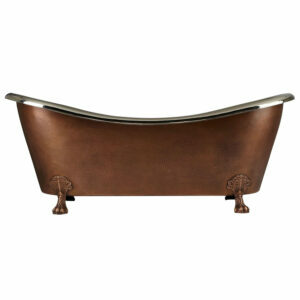 The hammered detail and stunning nickel-plated interior complements the antique copper finish beautifully. 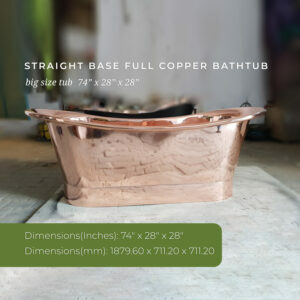 66″ Dimensions: 66″ L x 32″ W x 31″ H (± 1″). 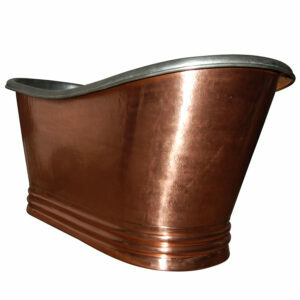 Water capacity with overflow: 64 gallons. 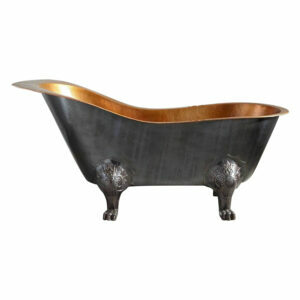 Weight uncrated/crated: 170/325 lbs. 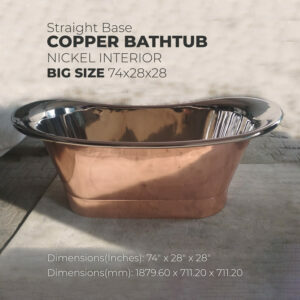 72″ Dimensions: 72″ L x 32″ W x 31″ H (± 1″). 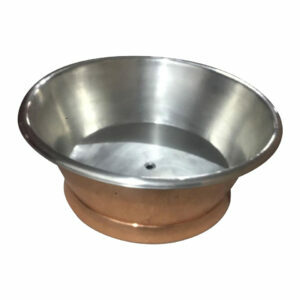 Water capacity with overflow: 67 gallons. 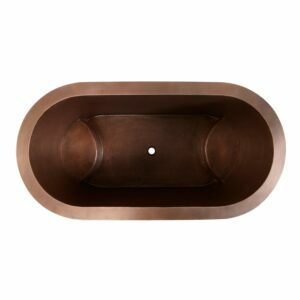 Weight uncrated/crated: 170/325 lbs.